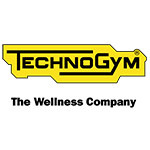 Founded in 1983, Technogym is a world-leading international supplier of technology and design-driven products and services in the Wellness and Fitness industry. Technogym provides a complete range of cardio, strength and functional equipment alongside a digital cloud-based platform, allowing consumers to connect with their personal wellness experience anywhere, both on the equipment and via mobile when outdoors. With over 2,000 employees and 14 branches globally, Technogym is present in over 100 countries. More than 80,000 Wellness centers and 200,000 private homes in the world are equipped with Technogym. Technogym was the official supplier for the last seven editions of the Olympic Games: Sydney 2000, Athens 2004, Turin 2006, Beijing 2008, London 2012, Rio 2016 and Pyeongchang 2018. Since 2010, Technogym and ACSM have partnered on Exercise is Medicine® (EIM) to encourage primary care physicians and other health care providers to include exercise when designing treatment plans for patients. EIM is committed to the belief that exercise and physical activity are integral to the prevention and treatment of chronic diseases. As a result of this ongoing partnership, Technogym has helped EIM expand in more than 40 countries, making it a true global, multi-dimensional initiative. DJO Global is a leading global developer, manufacturer and distributor of high-quality medical devices that provide solutions for musculoskeletal health, vascular health and pain management. The company’s products address the continuum of patient care from injury prevention to rehabilitation after surgery, injury or from degenerative disease, enabling people to regain or maintain their natural motion. Its products are used by orthopedic specialists, spine surgeons, primary care physicians, pain management specialists, physical therapists, podiatrists, chiropractors, athletic trainers and other health care professionals. In addition, many of the company’s medical devices and related accessories are used by athletes and patients for injury prevention and at-home physical therapy treatment. Product lines include rigid and soft orthopedic bracing, hot and cold therapy, bone growth stimulators, vascular therapy systems and compression garments, therapeutic shoes and inserts, electrical stimulators used for pain management and physical therapy products. The company’s surgical division offers a comprehensive suite of reconstructive joint products for the hip, knee and shoulder. 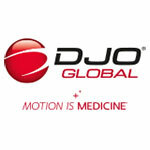 DJO Global’s products are marketed under a portfolio of brands including Aircast®, Chattanooga, CMF™, Compex®, DonJoy®, Empi®, ProCare®, DJO® Surgical, Dr. Comfort® and ExosTM. Visit www.DJOglobal.com for additional information. 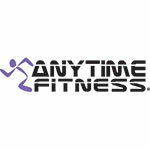 Founded in 2002, Anytime Fitness has been the fastest-growing gym franchise in the world for 11 consecutive years, averaging more than 300 new gyms a year for the last decade. With nearly 5,000 gyms serving more than 4,000,000 members on five (soon to be all seven) continents, Anytime Fitness prides itself on providing its members with convenient fitness options and friendly, personal service in well-maintained facilities which feature top-quality exercise equipment. Gyms are now open in all 50 states, and 35 countries, 24 hours a day, 365 days a year. Ranked #12 on Entrepreneur’s prestigious Top Global Franchise list, Anytime Fitness offers its members a wide array of personal training and small group training services designed to help them achieve whatever their fitness goals may be. A founding partner of Exercise is Medicine®, and a frequent sponsor of ACSM, Anytime Fitness is committed to improving public health and teaming with the medical community to lower health care costs and decrease the prevalence of chronic diseases. In partnership with the Exercise is Medicine Global Research and Collaboration Center at Emory University Rollins School of Public Health, in early 2019, Anytime Fitness will embark on an 18-month research project designed to demonstrate the health benefits of regular exercise and nutritional guidance.